Mr. G's musings: CHERI--beautiful movie starring Michelle Pfeiffer about courtesans--Colette's classic--OH and PEARLS! CHERI--beautiful movie starring Michelle Pfeiffer about courtesans--Colette's classic--OH and PEARLS! I had the mean reds yesterday, as Holly Golightly called really bad depression (you can read about my love for the movie and novella, Breakfast At Tiffany's, in a previous blog http://markgsmusings.blogspot.com/search/label/Breakfast%20at%20Tiffany%27s). It was even more appropriately called "red" instead of "blue" because the chief reason for the predicament was the raging inferno that I live in called the Desert. It's like living in Seattle with the constant rain. Too much of one thing, without end (at least weather-wise), can be maddening and saddening. So the Bug (my mother, Junebug) and I braved the scorching heat and went to a chilly dark theater. It was delicious. Run to the theater to see this magnificent film about two aging courtesans in France during the Belle Epoque and a cute boy. You can look at my other posts about my fascination with courtesans....but this perfect movie simply fuels my passion. 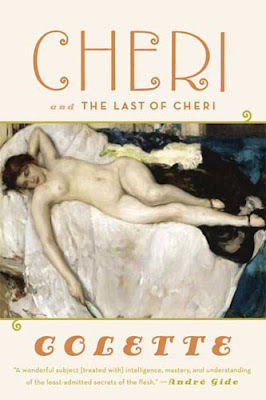 Cheri ("dear" or "sweetheart" in French) is a film based upon the novel by the French writer Colette: "Post-war, her writing career bloomed following the publication of Chéri (1920). Chéri tells a story of the end of a six-year affair between an aging retired courtesan, Léa, and a pampered young man, Chéri. Turning stereotypes upside-down, it is Chéri who wears silk pajamas and Léa's pearls, and who is the object of gaze. And in the end Léa demonstrates all the survival skills which Colette associates with femininity. (The story continued in La Fin de Chéri (1926), which contrasts Léa's strength and Chéri's fragility and decline)." The second thing about the film is its absolute passion and devotion to beauty. Every set is filled with amazing color combinations, every film shot is slavishly devoted to creating the perfectly gorgeous shot. Be it the scene on a Biarritz beach looking down at the blue waves that match perfectly Pfeiffer's blue dress. Or be it the alabaster sculpting of Rupert Friend's (Cheri) body as he makes love to his young wife. Every scene is ravishing. The costumes are sumptuous....even the debauched old aging courtesans at Maxim's are clothed exquisitely. This film should be made into a coffee table book of film stills. I could study the photographs forever. The third thing about this film is its tour de force cast. Kathy Bates gives a bawdy and gutsy performance that could in less capable hands have been nothing but a hamfest. But when she laughs, as we saw in the film clip, there is nothing but pure ribald honesty. Rupert Friend is beautiful in a monstrous sort of way. I just cannot praise this film enough. But ultimately one has to acknowledge that such an accomplishment would not have been possible without the performance of Michelle Pfeiffer who obviously shines from the direction of the master director Stephen Frears. This is a movie that someone should see more than once because it is a film of nuances. A perfect film of amazing beauty and at least for me is an instant "classic". 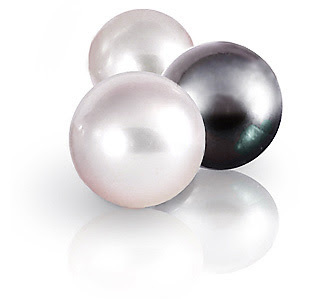 Finally, I should say that I LOVE pearls: black pearls, white pearls. They are more exquisite than diamonds. They are perfection to me. 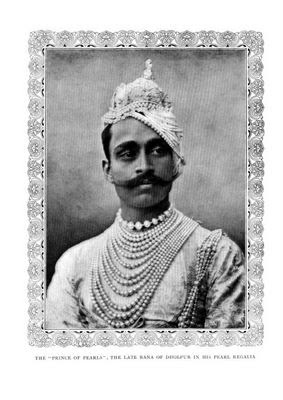 I've always lamented that men can't wear pearls. Well in this film Cheri wears pearls and demonstrates, in the wedding scene, why I think men and pearls as a fashion rule has found its time and should be accepted and implemented immediately! See what I mean? Very handsome, indeed!